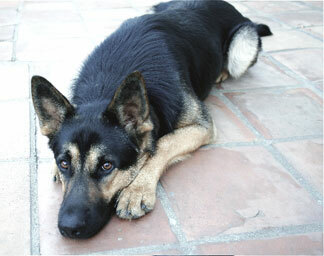 I am in the process of adopting a male GSD. However, I have not seen the dog yet, but will do soon. Anyhow, my concern is that if 1.5 year old male GSD is too late to further train or will I have problems handling the dog since I am not the original owner. The dog has never been abused and has been in good care since the day they it was born. Will the dog be friendly or obey me? what are some advantages and disadvantages of what I am going to do? I really appreciate your help hope to hear soon regarding this. Total German Shepherd: Congratulations on getting your new rescued German Shepherd. Good for you. So I would advise you to spend a lot of time bonding with your German Shepherd once you get the dog home. Take it easy, be relaxed and give the dog time to get accustomed to you and your home and all that are included with you. Next, when you feel comfortable that your GSD is acclimated and over the change, sign up for a dog training class as soon as possible and get started. Not only will the dog learn but you will learn how to train your dog too. Plus it's another great bonding experience for you both as well as a confidence builder for you both. Good luck with your new rescued German Shepherd and congratulations again.